Keep things deliciously simple with the CANIDAE Grain Free PURE Foundations Puppy Formula with Chicken Canned Dog Food. Using limited ingredients for gentle digestion, including chicken for quality protein, this recipe is ideal for sensitive puppies. And with a delectable texture that’s slow cooked in broth, it’s quality nutrition without compromising great taste—making it a meal that any dog will love, with nutrition you can feel good about feeding him. 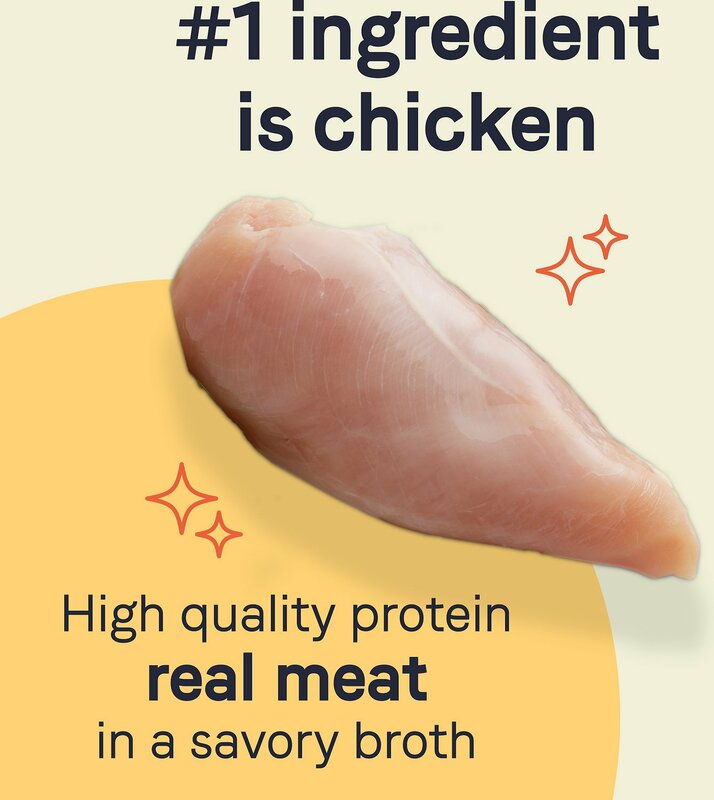 Chicken is listed as the first ingredient for the high-quality protein your puppy deserves. Whole nutrition for all puppies, and especially great for sensitive puppies. Our 6 month old German Shepard has tummy issues but not anymore he loves the taste we mix it with the dry Canidae Puppy food and he has not had any more issues happy puppy parents. Puppy not crazy over this! My 4 month old Havanese is not crazy over this. She will eventually eat it, when she gets REAL hungry but not as she should. It doesn't "smell" or look very meaty. I'm not impressed. I might end up having to give this expensive stuff away! This food is great. The dog loves it and I like the ingredients in this brand. 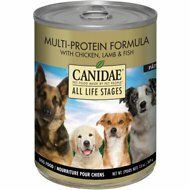 I give my puppy this along with Canidae all stages dry and she is doing great. She has an amazingly shiny coat and looks nice and lean. It's worth the extra money to feed them well. 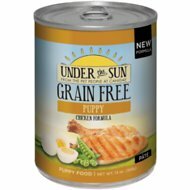 Our Havanese puppy loves this food. Stools are good, no vomiting. Coat is soft. Everything seems normal. The packed consistency of this food is great for stuffing in toys and freezing to chew later. We feed it with Canidae Foundations. Chewy is the best for delivery and service. Will not buy again, My chocolate lab did not like! First of all CHEWY is the BEST! They carry so many incredible brands of dog and cat food. 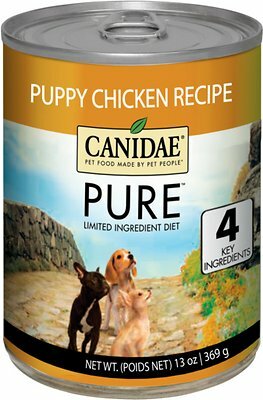 Canidae has been a wonderful choice for our little Malshi, Mochi! He and his best friend Milton LOVE the food. They digest it very well and it doesn't smell badly like some other canned foods. I love the texture and the fact that it's more solid is great, doesn't get in the face fur! It's a win win! She really loves it and she has less gas in her tummy. I mix it with her Canidae puppy dry food as a little treat and she eats it right up. just to be fair, my pups did like this food -it smells good and I purchased it based on the reputation and quality ingredients-except it did not agree with my pure bred cocker spaniels-I think it may be a good choice for a larger breed pups -it gave my pups pudding consistency BMs -which were difficult to clean up after since it soaked into the rugs and lawn if they could not make it out to the poop area...and that was only mixing in a tablespoon into a cupful of dry food...if your pups are constipated then this is the food for them.